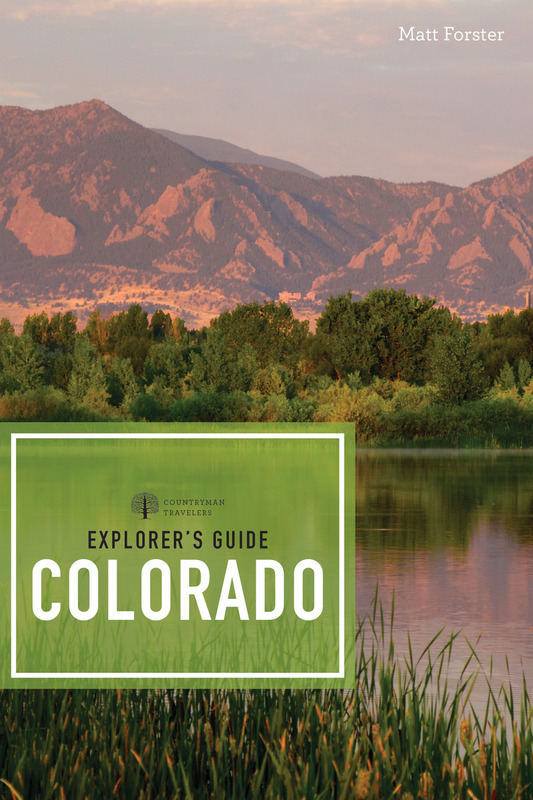 Whether you’re looking to explore Colorado’s rising cities like Denver, where the sun shines 300 days a year, or its little-known hidden gems, the recommendations in this guide will lead you in the right direction. From the expansive eastern plains to the towering Rockies, you’ll be an expert in no time at all. The perfect mix of urban charm and natural beauty can be found in Boulder, one of Colorado’s most well-known cities. The city boasts a strong commitment to the environment and healthy living, as well as eclectic shops and restaurants scattered along its simple streets. Colorado’s culinary offerings can be enjoyed all across the state: through high-end restaurants serving wild game, French cuisine, unique street foods, and everything in-between. As with every title in the Explorer’s Guide series, you’ll be get fascinating local history, up-to-date maps, and advice from an expert author. Matt Forster seen everything Colorado has to offer and will help you make the most of your trip. Matt Forster is a writer and editor whose first introduction to Colorado was through his wife Kim, a native of the state. Over the years, they have traveled Colorado end to end, and continue to visit frequently. Forster and his family live in Michigan.